Ships tomorrow if you order in the next 23 hours 43 minutes. Auto Ship & Earn + 151 Points What's this? The aging process can have negative effects on your overall joint health. As a result, your daily life can be interrupted, leaving you to look for reliable relief from joint pain. 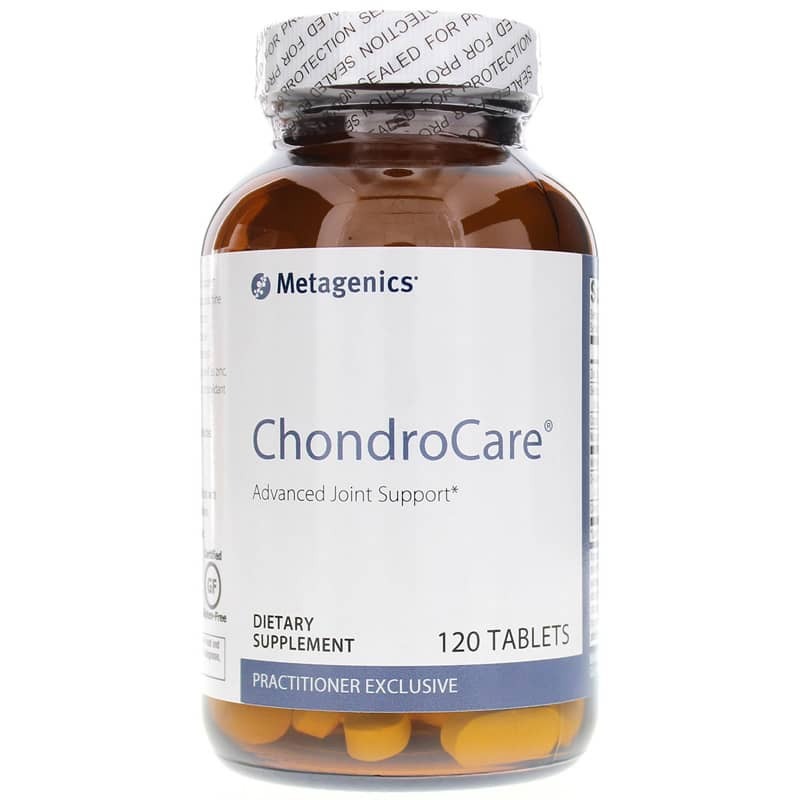 Metagenics offers ChondroCare Advanced Joint Support and Protection, which delivers high quality support for improved joint health and function. 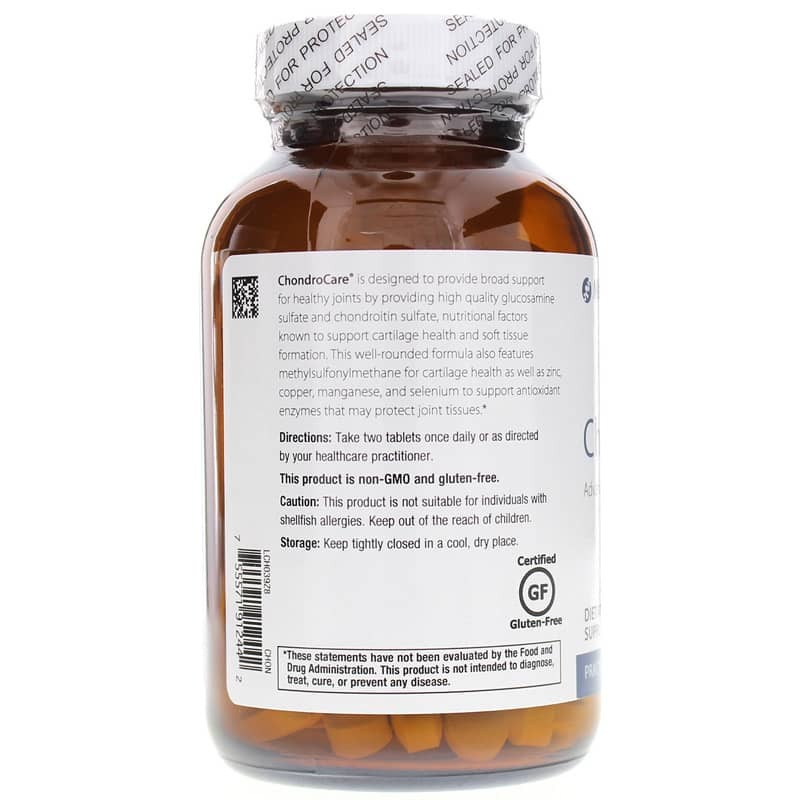 ChondroCare contains absolutely no wheat, gluten, soy, nuts, tree nuts, or artificial colors, preservatives, or sweeteners. Don't let sore joints and limited movement keep you from doing the things you love. Choose ChondroCare Advanced Joint Support and Protection from Metagenics today and stay on the natural pathway to optimal joint health and flexibility. Order today and see the difference it can make in your overall health. 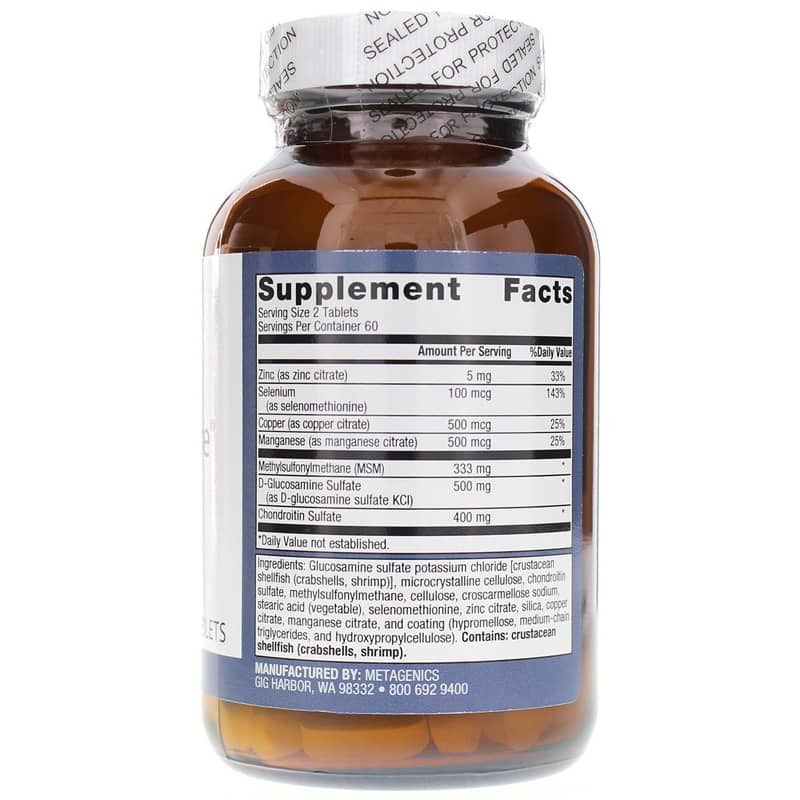 Contains crustacean shellfish (crabshells, shrimp). Adults: Take two tablets once daily or as directed by your healthcare practitioner. This product is not suitable for individuals with shellfish allergies. Keep out of the reach of children. I am hurting but we will see how quick I get back up to speed !